Researchers in Spain conducted a recent pilot study to analyze the impact of a gluten-free diet on patients suffering simultaneously with irritable bowel syndrome (IBS), fibromyalgia (FM), and celiac disease (CD). 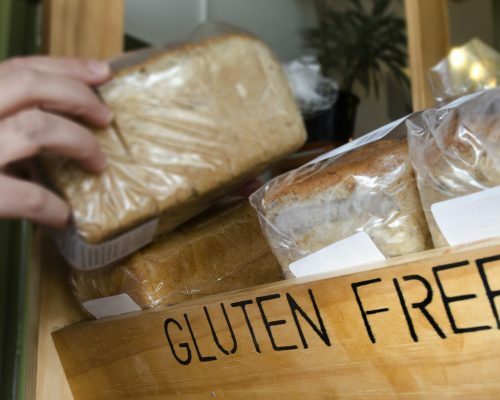 Recent studies show that a gluten–free diet can impact fibromyalgia, IBS, and celiac disease occurring simultaneously in people. IBS is a common gastrointestinal functional disease wherein chronic abdominal pain or discomfort is accompanied by diarrhea, constipation, defecation urgency, tenesmus, and bloating. Patients with IBS are often affected by other conditions, especially fibromyalgia. In fact, 20 percent to 32 percent of individuals with IBS have fibromyalgia, a condition characterized by chronic widespread pain. It’s interesting to note that a larger percentage (32 to 70 percent) of people with fibromyalgia have IBS. The third condition on our list is garnering increased attention as it’s becoming more prevalent than once thought, and is now being seen as “most common autoimmune enteropathy in western countries”. Surveys reveal that the incidence of Crohn’s disease in patients with IBS is more than seven-fold than that of the general population. Which is why medical practitioners are advised to test patients with IBS for Crohn’s. It is a well-known fact that people with Crohn’s disease are hypersensitive to gluten, and when they go on a gluten-free diet, their symptoms can be resolved or at least reduced. Laboratory tests confirm the presence of gluten sensitivity in these people. But it’s only recently that the medical profession is getting light of the fact that there may be a causal link between IBS, fibromyalgia, Crohn’s disease – and other multi-symptomatic forms of gluten sensitivity. Some of the cases with overlapping symptoms share similar clinical features. What’s more, when gluten is removed from their diets, some of the patients with comorbid fibromyalgia and Crohn’s experience symptom resolution. A pilot study conducted by a group of researchers in Spain examined the impact of a gluten-free diet on patients with comorbid IBS, fibromyalgia, and Crohn’s disease. As part of the study, the researchers looked at 229 patients with IBS, of which 104 (45.4 percent) also had fibromyalgia. And among these 104 patients with IBS and fibromyalgia syndrome, seven patients (6.7 percent) also had Crohn’s disease. These seven patients had very severe symptoms, and their quality of life was extremely poor at the start of the test. All seven patients were experiencing severe gastrointestinal symptoms, including diffuse abdominal pain and discomfort, constipation, diarrhea, alternating diarrhea/constipation, bloating, heartburn, and non-gastrointestinal symptoms like widespread soft tissue pain, sleep disturbances, abnormal fatigue, and even cognitive dysfunction. The patients had been taking a variety of medications to treat these conditions, including analgesics, proton pump inhibitors, antidepressants, and anxiolytics, but to little avail. However, after a year on a gluten-free diet, these patients showed vast improvement. All their symptoms and the laboratory results improved by more than 50 percent from the start of the study. Comorbidity is the simultaneous presence of two chronic diseases or conditions in a patient. A July 2014 study shows that fibromyalgia and celiac symptoms coexist to a great extent. Though IBS is a comorbid disorder with fibromyalgia syndrome, and the gastrointestinal symptoms of IBS do overlap with those of Celiac, this study looked beyond gastrointestinal symptoms. 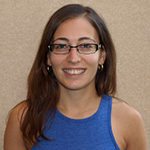 The study done by Carrasco, García-Leiva, Calandre, and Slim researchers compared a group of 178 fibromyalgia patients to a control group of 131 healthy participants. The data from the fibromyalgia group was then compared to data in the literature on celiac patients. The researchers found that those with fibromyalgia do have a higher incidence of fatigue, depression, and memory loss, than celiac patients. They have a lower incidence of anemia. But in all other aspects —especially gluten sensitivity, they were very much like celiac patients. To sum up, while some of the symptoms are typical fibromyalgia symptoms (fatigue, memory issues, depression), and many of the symptoms are typical IBS symptoms (which is a common comorbid condition with fibromyalgia), few of these symptoms are more typical of a food sensitivity / allergy. Based on this, the researchers concluded that food sensitivity may be a cause or contributing factor to a large portion of the symptoms associated with fibromyalgia. It is sometimes very difficult to distinguish the symptoms of IBS —diarrhea, constipation, abdominal pain, and changes to the look and consistency of stools — from celiac disease. At first glance, celiac disease and IBS have a lot in common, but closer inspection reveals the key differences. IBS, as the name suggests, is the coming together of different symptoms to form a syndrome. It has no organic cause. But if you don’t have symptoms, you don’t have IBS. Whereas celiac disease is an autoimmune disorder that damages the lining of the intestine. It is more than just a sum of the symptoms. In fact, in some cases it can manifest without any symptoms at all. Moreover, in addition to the gastrointestinal symptoms, celiac disease also leads to complications ranging from osteoporosis and joint pains to dental defects. Another important differentiation between IBS and Crohn’s disease is that in IBS, the intestines are squeezing all the time, causing discomfort, whereas celiac disease does not affect the way the bowels move. Because of the overlap between these two conditions, proper care must be taken to diagnose celiac disease. A wrong diagnosis can lead to many complications. This happens all too often, even among healthcare professionals. These symptoms could indicate irritable bowel syndrome (IBS), but they could also be signs of celiac disease. And sometimes it can be hard to tell. In spite of professionals examining IBS and celiac disease together, between five and 15 percent of celiac cases were originally labeled as IBS. While this may seem like an insignificant number, it isn’t. The researchers conclude that in IBS/FM patients, the different extra-intestinal clinical presentations sometimes make Crohn’s disease diagnosis challenging. They urge clinicians to keep in mind the diverse symptoms and diseases associated with Crohn’s disease and perform appropriate serological tests, to reach a correct diagnosis before starting the patients off on a gluten-free diet.